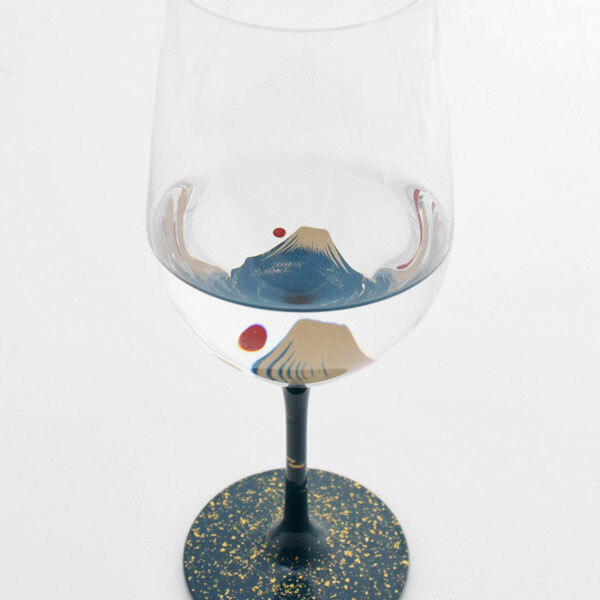 fused together "GLASS" and "JAPANESE LACQUER"
To paint Japanese lacquer directly on glass is a highly sophisticated technique. 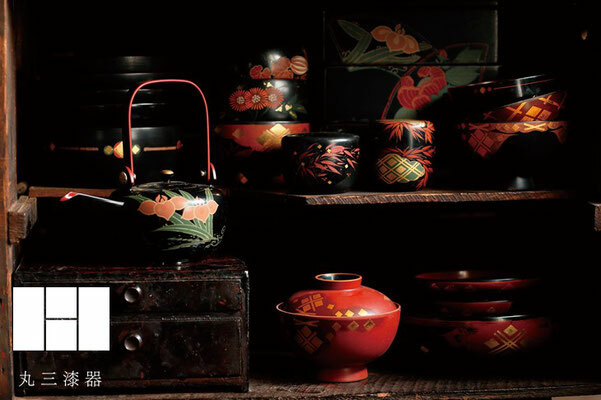 "Marusan Shikki" the long-established lacquerware manufacturer in Iwate, Japan now succeeded! 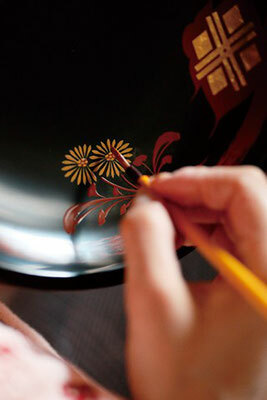 Japanese lacquer artwork technique "Hidehira-nuri". 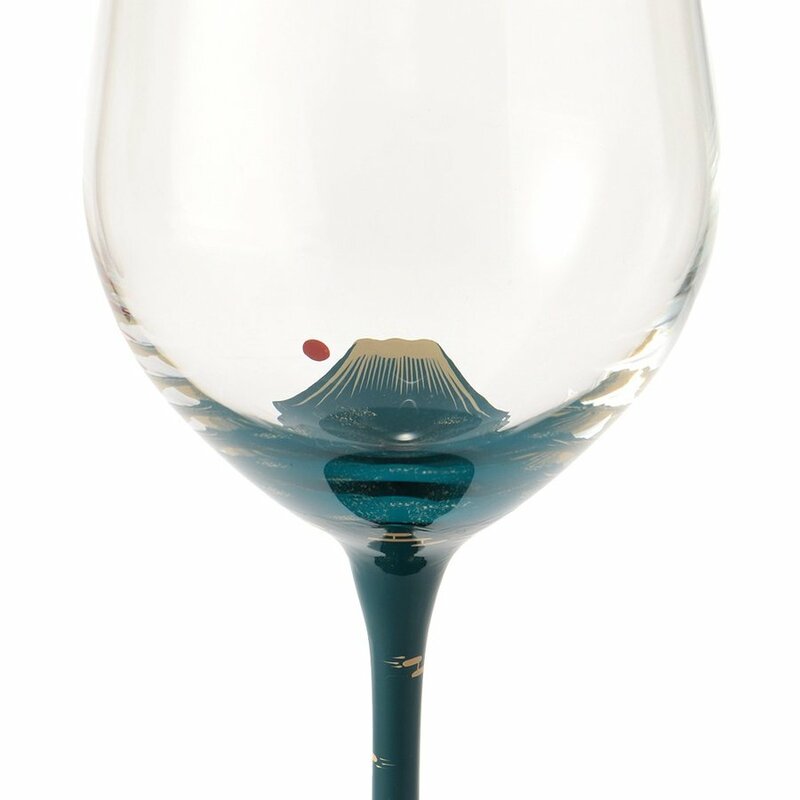 The Mt.Fuji is visible from both inside and outside of the glass. 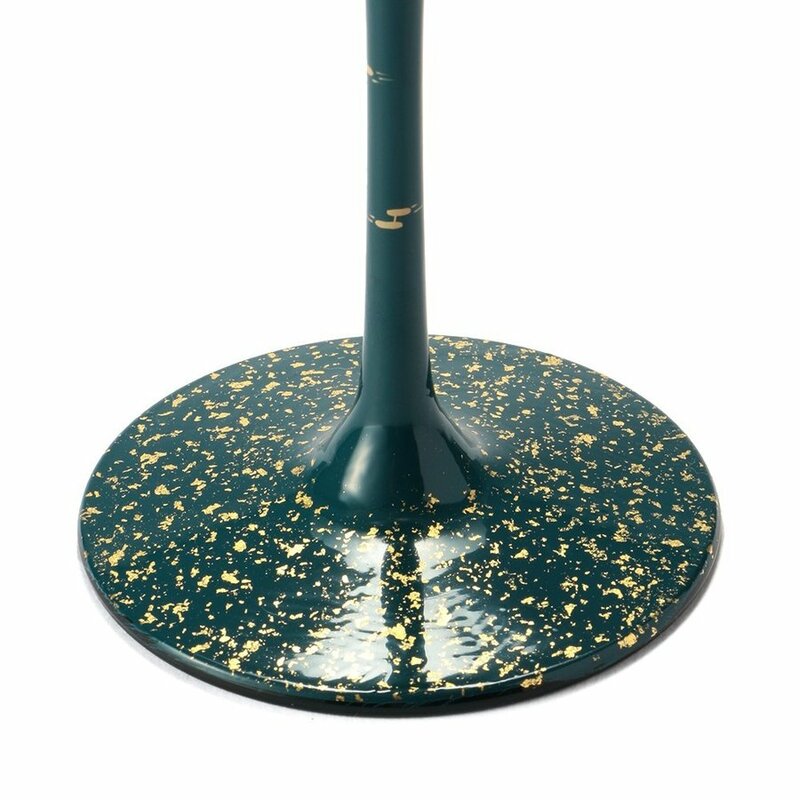 This painting process needs time twice than the common painting even though worked by skilled craftsman. in the city of World Heritage "Hiraizumi" (in Iwate Pref.) 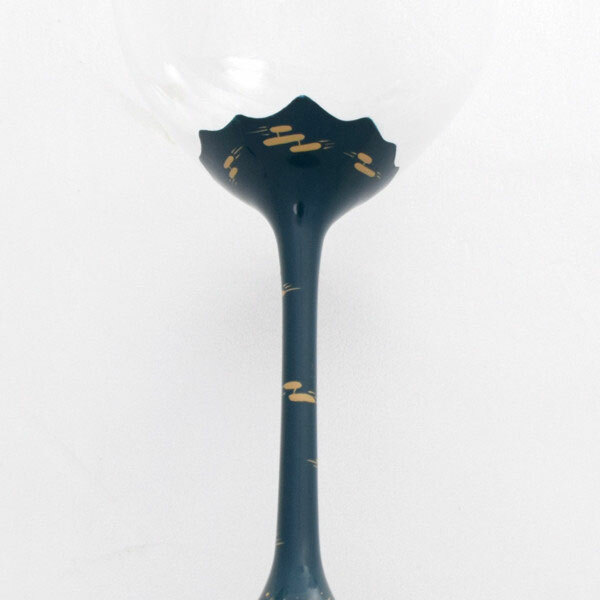 around on the Heian period (795-1180). 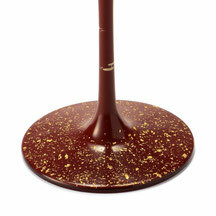 The charactaristics of "Hidehira-nuri" style is luxurious decor with Japanese lacquer painting and rich gold leaf. 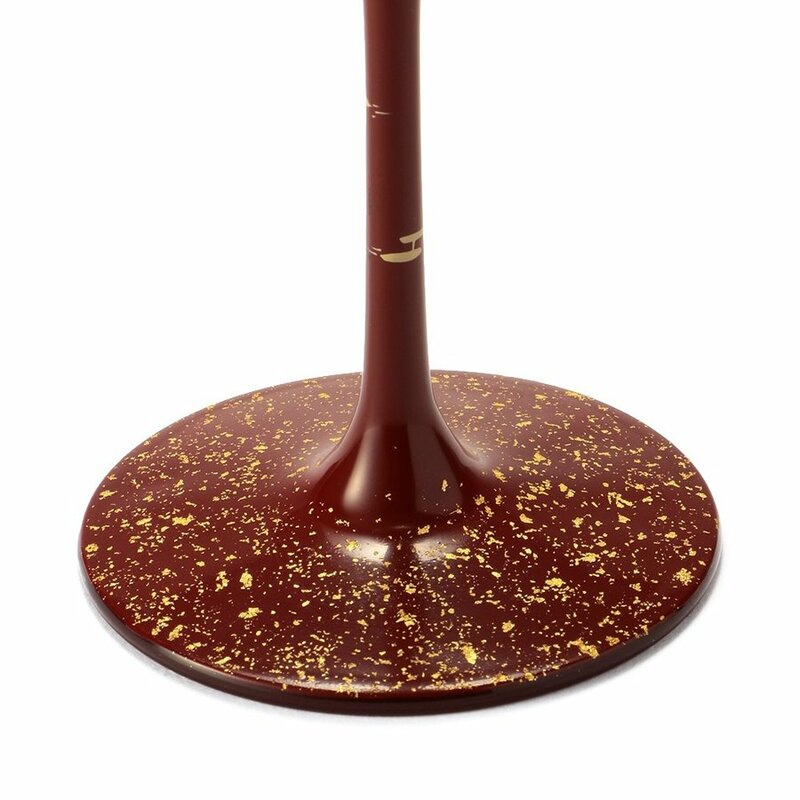 The Foot boldly decorated with Japanese lacquer and gold leaf. 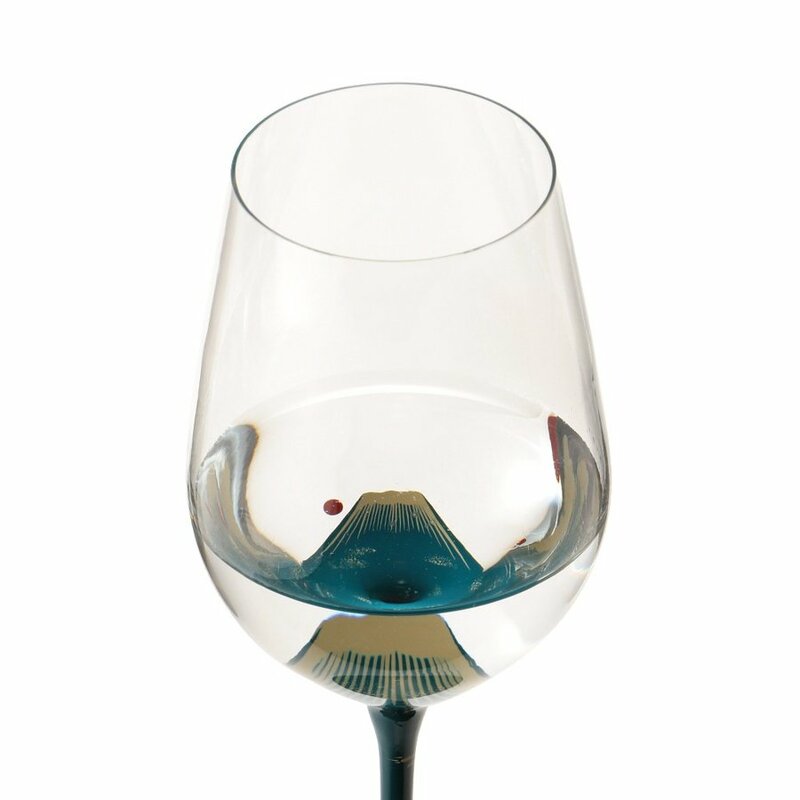 It is a features of Hidehira-nuri. 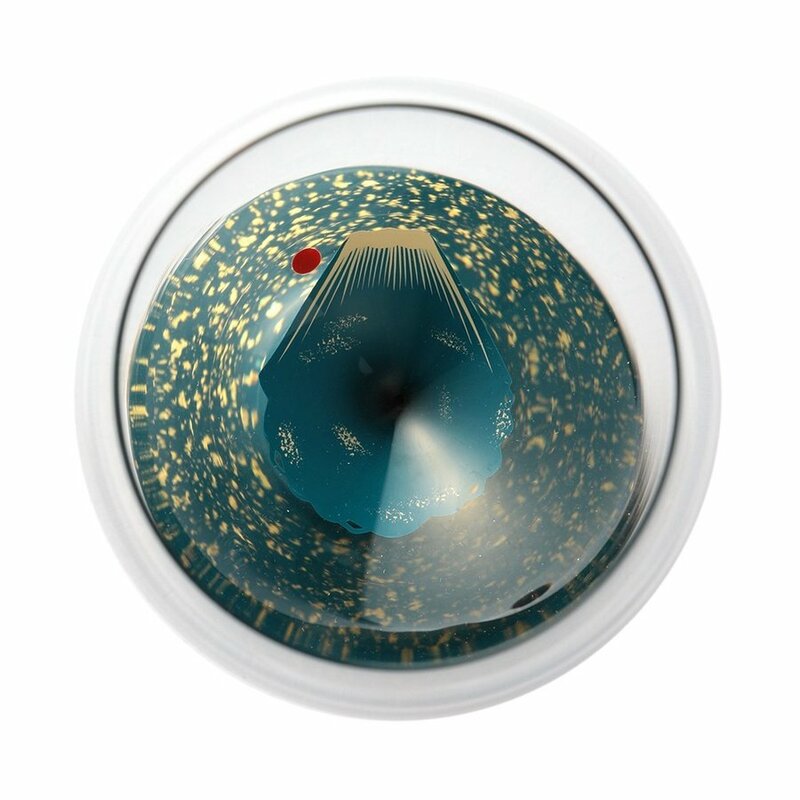 Fuji appears on both side of inside and outside of the glass. 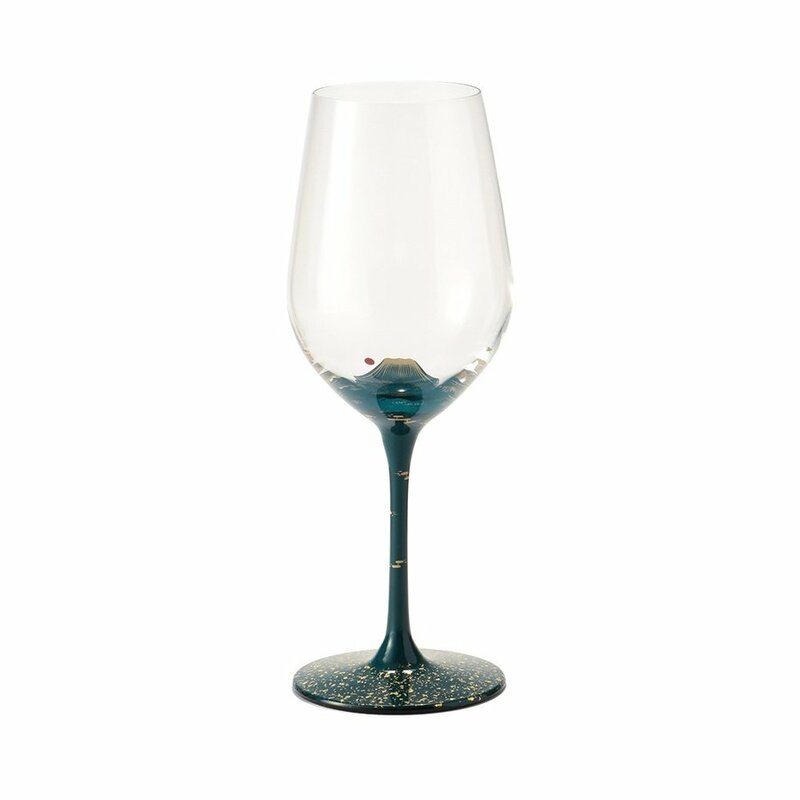 This is involved an immense amount of time and effort to make even though by skilled craftsman. 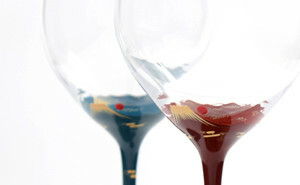 From the stem through the cup has been decorated evenly and firmly. 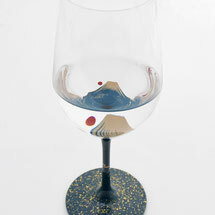 When filling transparent liquid, such as white wine and sake to glass, you can enjoy the 3D-Mount Fuji with rising sun. 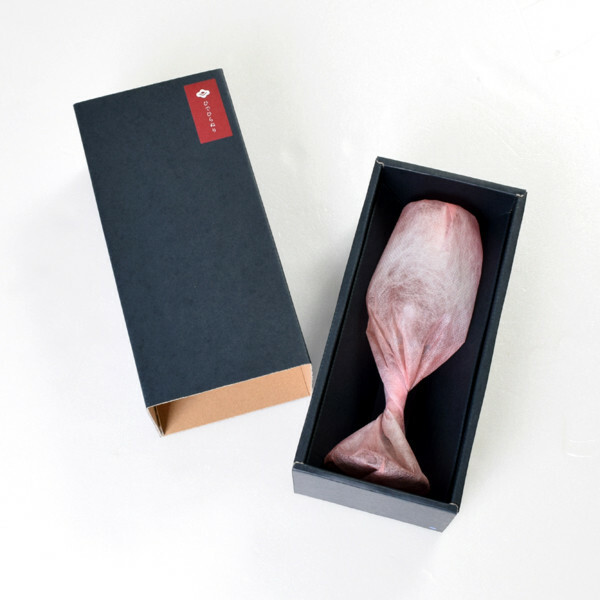 Packed in original gift box as a picture.It is perfect for gift. 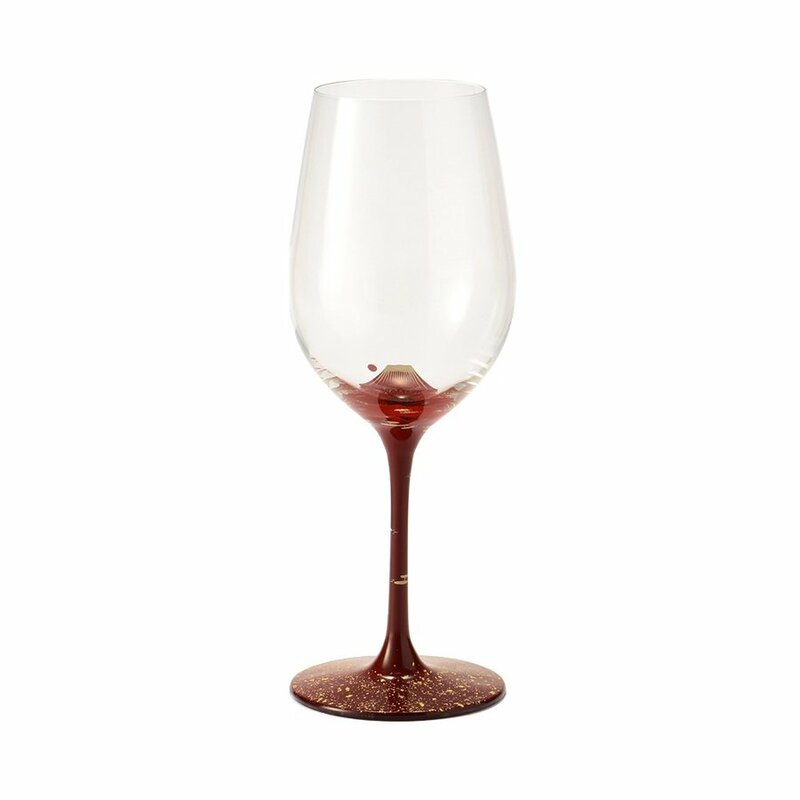 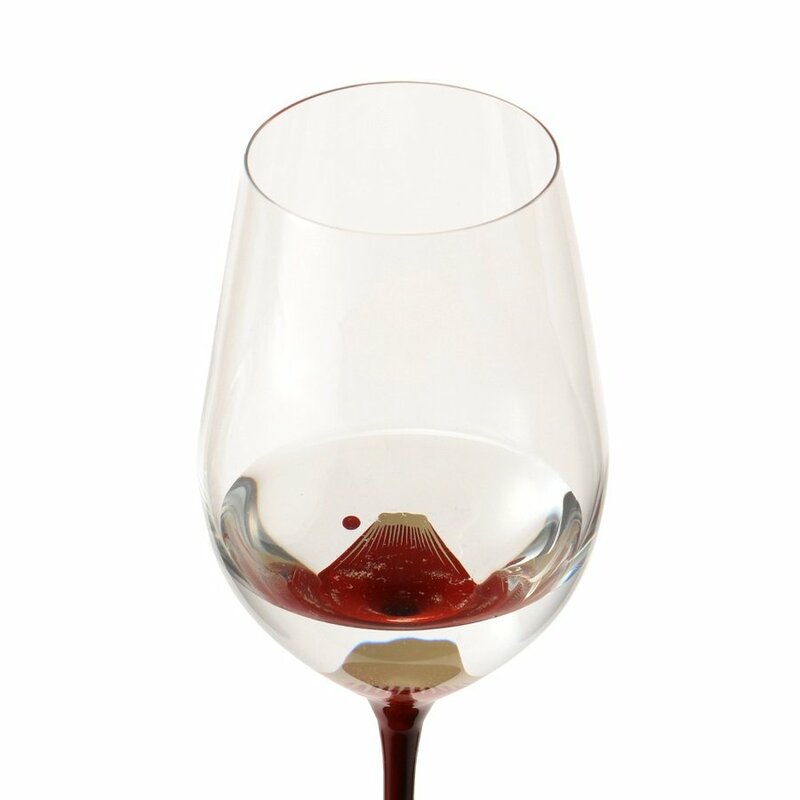 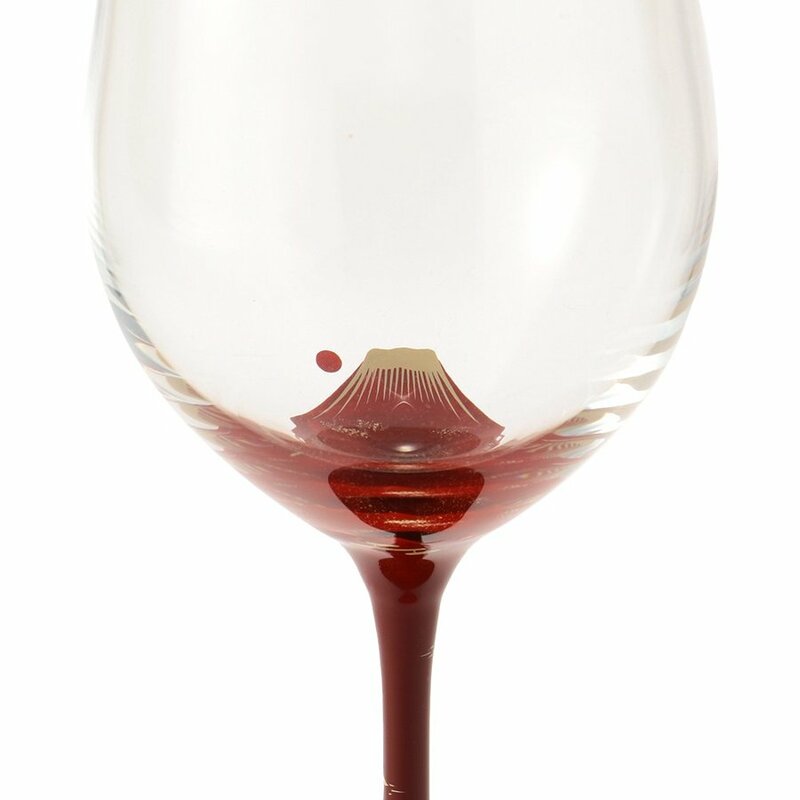 - Due to hand drawing, the pattern of every glass is slightly different. 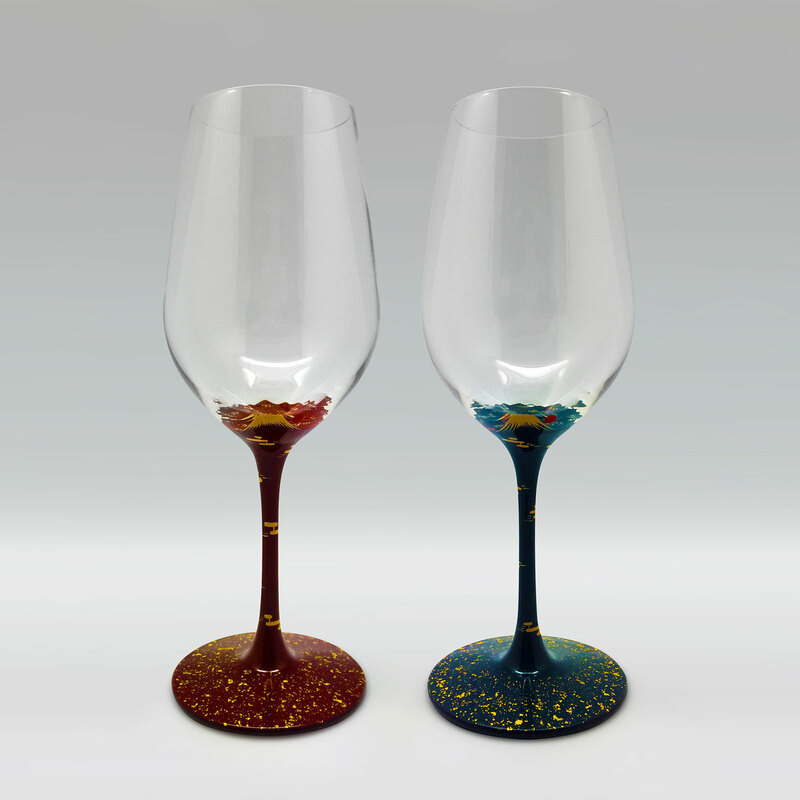 ※ It may seem that it is slightly (color, form) different from a real product on the homepage. establisched on 1904, located in Iwate prefecture, Japan. 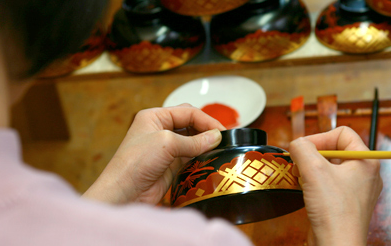 While it is "Hidehira-nuri", the Japanese lacquer Painting oftraditional technique, but also focus on production to arrangea classic in a modern style. 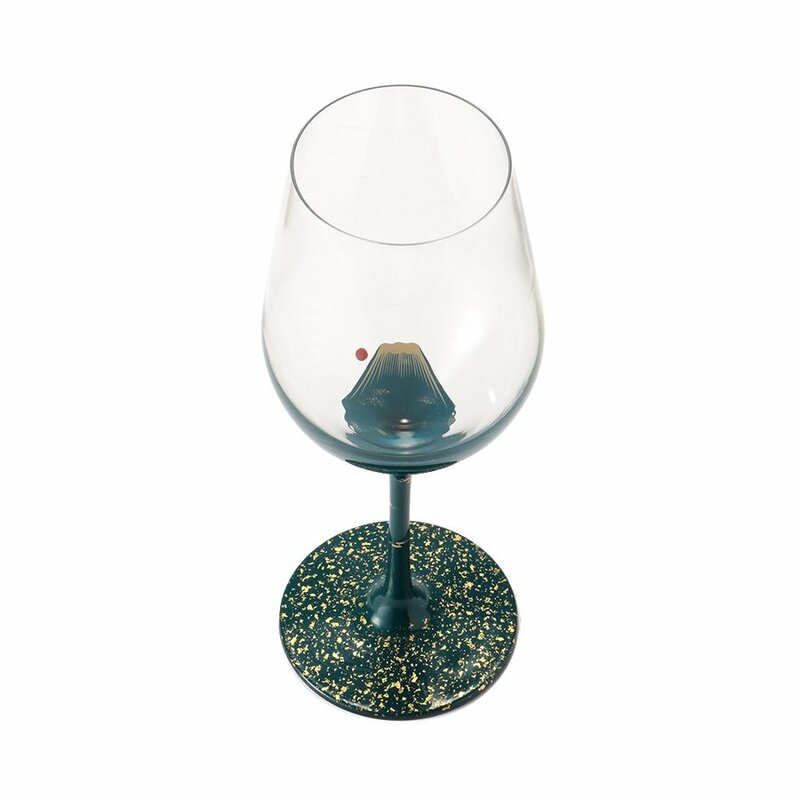 As one, they have developed a new product, which painted Japanese lacquer directly on glass by special techniques. 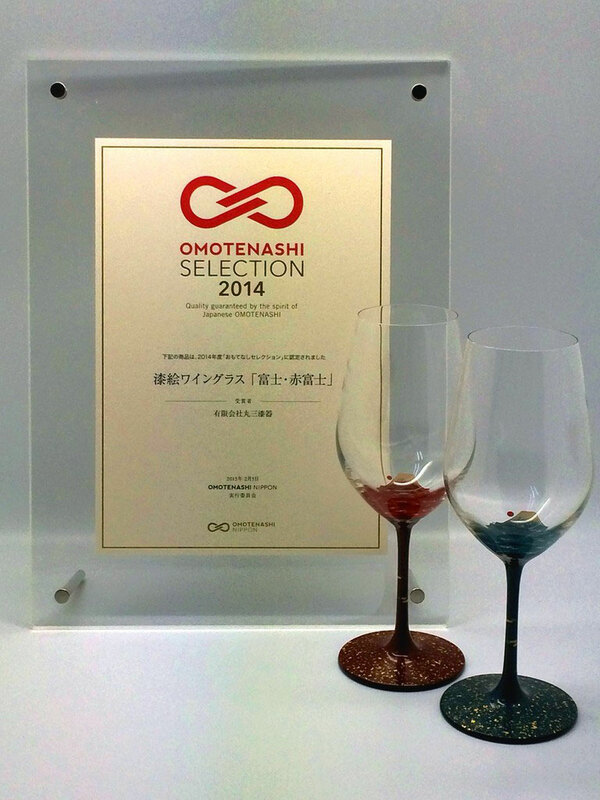 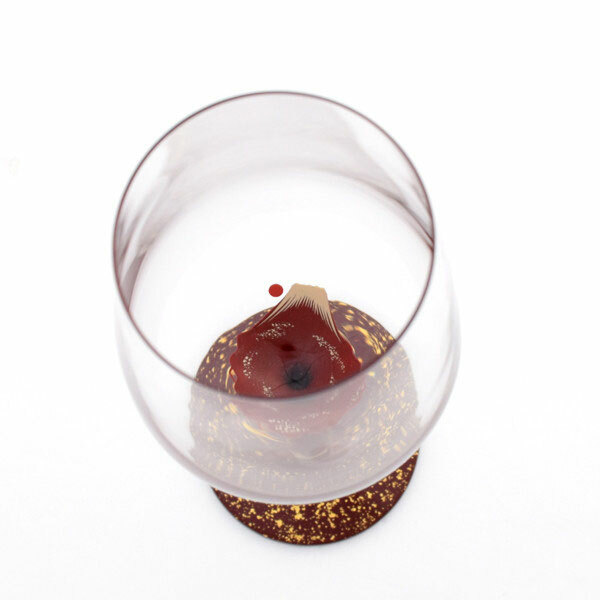 * The Wineglass Fuji and Redfuji are awarded the prize of "OMOTENASHI selection 2014".